Lost in Charleston’s Waves Order Now! 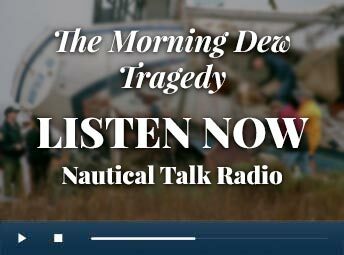 13-year-old Daniel Cornett to the U.S. Coast Guard from the stricken sailing vessel Morning Dew. 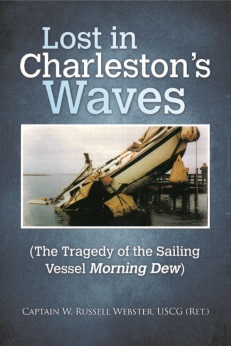 Lost in Charleston’s Waves is the pulse-pounding true story of mistakes by the Coast Guard that resulted in deaths in the early morning hours of December 29, 1997. Just after 2 a.m., Michael Cornett was at the helm of his 34’ motorized sailboat, the Morning Dew. His two sons, Paul and Daniel, and their cousin, Bobby Lee Hurd, Jr., were aboard and fast asleep. Cornett struck a stone jetty on the outer entrance to Charleston Harbor. It’s believed Cornett was incapacitated on impact and thrown overboard. The crash woke up the boys. For several agonizing hours, the “Three Amigos” as they were called, stayed with the vessel. They briefly radioed the coast guard. A coast guard watchstander heard the first part of the call but missed the word MAYDAY. He didn’t replay the tape to double-check. Later, the boys abandoned the sinking sail boat. They were floating in freezing waters. A crewman from a nearby Japanese car carrier heard the boys cry for help and called for help. A second coast guard watchstander failed to launch a comprehensive search and rescue mission. Instead, the guard asked a local pilot boat to check the area to see if anything was amiss. That effort was suspended before sunrise. This book accomplishes two things. It provides a voice to two families who lost loved ones needlessly and details their determination to hold the government accountable for grievous errors in judgement. Lost also recounts how the coast guard, the nation’s oldest federal seagoing service, critically self-examined its leadership, equipment capacities and rescue procedures. Investigations by the coast guard and the National Transportation Administration (NTSB) ended with a judge, the son of a coast guard officer, compensating the families with $19 million-dollars. This judgement, the investigations, an ABC 20/20 program and the grieving families would be the catalyst for decades of change in rescue procedures and technology upgrades. Painstakingly researched by a retired coast guard Captain and one of the nation’s leading coast guard contemporary maritime historians and rescue case study experts, Lost in Charleston’s Waves reminds today’s coast guard watchstanders about the psychology behind complacency and provides a warning that rescuers can still make similar tragic blunders of judgment. 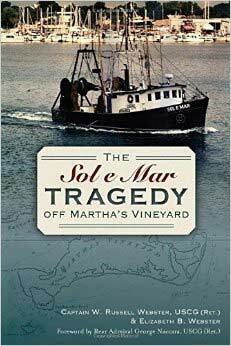 The Sol e Mar Tragedy Off Martha’s Vineyard is the true and tragic account of William “Hokey” Hokanson and his son, Billy, who were lost at sea when their fishing vessel sank on March 25, 1990. Just before their vessel went down, Billy transmitted a brief and heavily garbled radio distress transmission that the Coast Guard believed was a prank since a hoax call immediately followed. The Coast Guard did not launch a search and rescue mission thinking the two calls were connected. It was not until Hokanson relatives raised the alarm that the Coast Guard responded. The deaths of Hokey and Billy inspired a groundbreaking anti-hoax law and changed the way the U.S. Coast Guard conducted search and rescue. This book not only explores the people that Hokey and Billy were, but will also inspire a reader to think about why people prank and the extraordinary cost in lives lost and resources expanded, all caused by hoax calls. A foreword by Rear Admiral George Naccara, USCG (Ret. ), former Commander of First Coast Guard District and a former Federal Security Director of Massachusetts, will caution us all that enhanced rescue technologies designed to mitigate hoax calls may not be enough to always rectify horrendous human behaviors. There was no doubt in the minds of Coxswain Bernie Webber, Richard Livesey, Ervin Maske and Andy Fitzgerald that they were about to undertake a death mission on February 18, 1952. 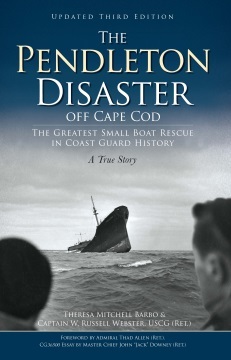 But the four young and brave Coast Guardsmen were able to rescue thirty-two sailors off the Pendleton, a 503’ merchant marine vessel that snapped in two in a hurricane off Cape Cod, despite waves measuring the height of three-story buildings. The rescue mission is heralded today in Coast Guard corridors as one of the greatest feats in maritime seamanship in service history since 1790. Bernie and his crew were later awarded the rare and prestigious Coast Guard Gold Lifesaving Medal. Why and how was this mission accomplished? This book, co-authored with Historian Theresa M. Barbo, is the only one that carries interviews with all four of the Gold Medal Crew as well as Charlie Bridges, a sailor rescued from the Pendleton. A foreword by former Commandant Admiral Thad Allen (Ret.) and an essay by Master Chief John E. “Jack” Downey (Ret. ), a veteran of thousands of modern-day small boat rescues, round out the special third edition of this contemporary classic of maritime history. Ten-year-old Jack Nickerson and his yellow lab, Jack, befriend Bernie Webber, a Coast Guard Coxswain serving in Chatham on Cape Cod in 1952. When a hurricane sweeps across the Northeast on February 18 and causes a 503’ oil tanker to snap in two, it’s up to Bernie and three other Coast Guardsmen to rescue the stranded sailors aboard the stern of the Pendleton. But unbeknownst to Bernie and his crew, Jack has figured out a way to help them! Co-authored with Historian Theresa M. Barbo, this book is a brilliant fusion of fiction and non-fiction and especially written for children between 9 and 12. 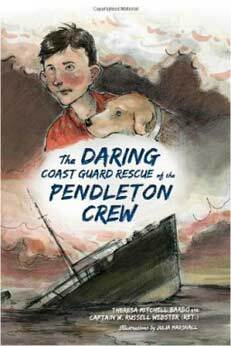 The Daring Coast Guard Rescue brings a young reader’s imagination 1952 to a front row seat to the greatest small boat rescue in Coast Guard history. 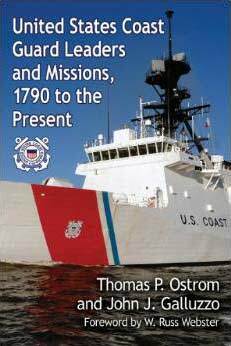 This important work chronicles 225 years of the U.S. Coast Guard’s history from 1790 to present. The service has provided aids to navigation, enforced maritime laws, protected the environment, conducted search and rescue, interdicted migrants and drugs, responded to natural disasters and conducted national defense missions, including overseas with other U.S. armed forces. The Service has operated under the Department of the Treasury, the Department of Transportation and, since 2003, the Department of Homeland Security. This history describes how the Coast Guard has manifested its legacy and motto, Semper Paratus (Always Ready), in changing conditions under each of its leaders.